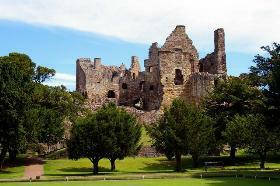 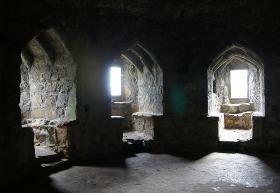 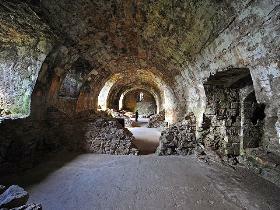 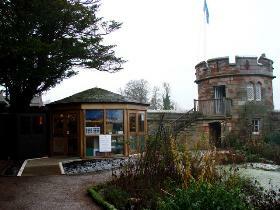 The village of Dirleton is dominated by the imposing remains of Dirleton Castle, which dates from the 12th century. Ruinous since Cromwell's unwelcome attentions in the 17th century, it was once the heart of the major Scottish estates of the De Vaux and Halliburton families. In the 12th century, the Norman family of De Vaux were gifted this part of Scotland under the patronage of David I. 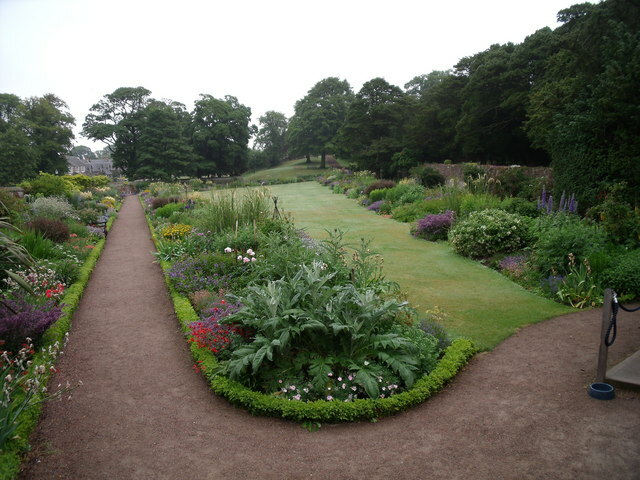 Under the civilising and pious influence of his English wife, Margaret, he was attempting to infuse his primitive subjects with more cultured interests. 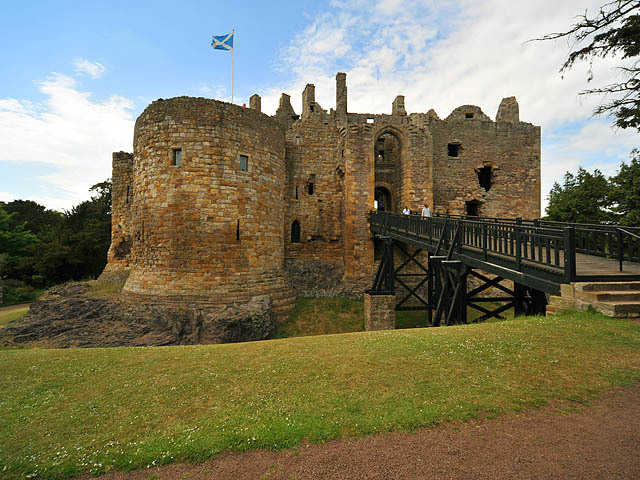 The De Vaux built the castle around 1270, just in time to be occupied by the English for 20 years during Scotland's War of Independence. 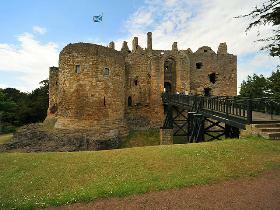 It was recaptured by The Bruce in the aftermath of William ("Braveheart") Wallace's struggles to free his country. 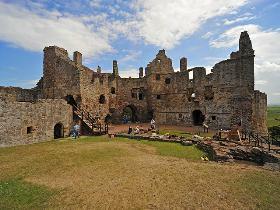 The castle then passed to Haliburton family, who extensively rebuilt it throughout the 15th century. In the chaos of loyalties that surrounded the era of Mary Queen of Scots, the Dirleton Castle was forfeit around 1566 and passed to the Ruthven family who were soon embroiled in dark deeds like the Ruthven Raid and the Gowrie conspiracy. 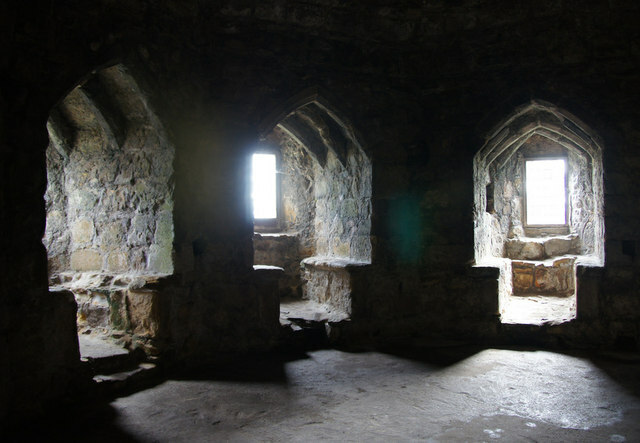 By 1650, military works of this nature had become obsolete and the final blow to its usefulness was made by Cromwell's General Monk who stormed the place in 1660 to eliminate moss troopers who were using as a base.